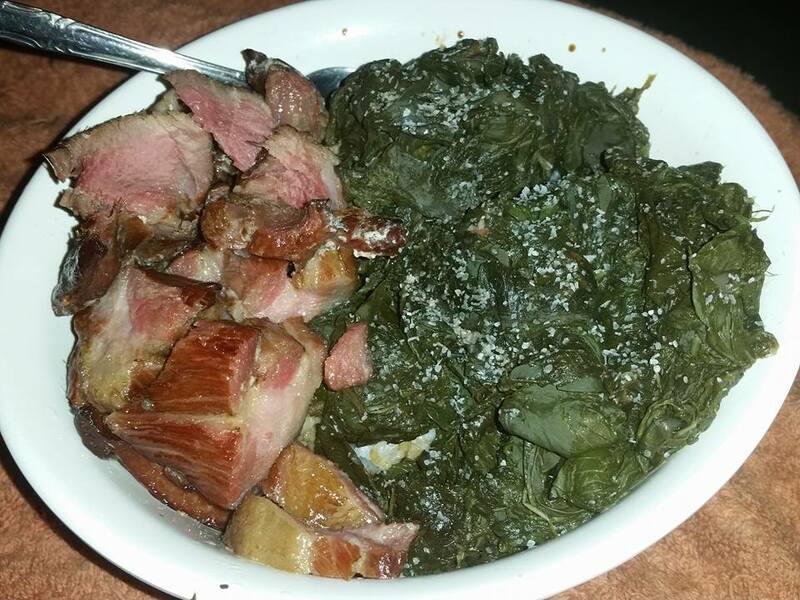 Tonight’s dinner: smoked meat, taro leaves and rice. Super tasty in appearance….smoked meat sounds delicious. Is Taro something easily found in groceries there? The taro leaves were grown and harvested from my mom’s garden. They’re steamed for about 8 hours. You can find taro root at some stores. There are so many kinds. Cook them like potatoes. Taro is pretty much unavailable in the UK – I’ve had it from my sister-in-law who brings it from the family farm in Cyprus. Got to admit it was too spinachy strong tasting for me and the long prep time to avoid it being poisonous put me off somewhat. However she did a tomato type pasta sauce thing with it that was nice. There are so many different types of taros. Mostly the leaves have to be cooked so you don’t get an itchy mouth. Hawaiian taro leaves tends to be meatier than other taro leaves. Not so much spinachy. Hard to explain. But lovely.